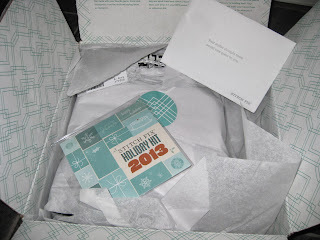 My Stitch Fix #3 arrived yesterday. I couldn't wait to see what was inside. I had provided lots of feedback on my previous fixes and also provided my Pinterest link, so they could better understand my style. 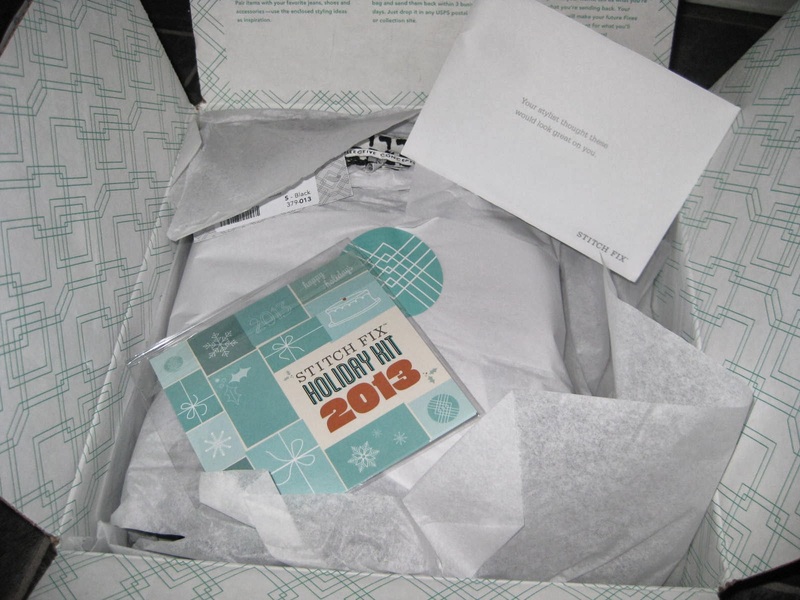 I was hoping it would be my favorite box yet and the first look was promising. I liked the blue theme I was seeing. 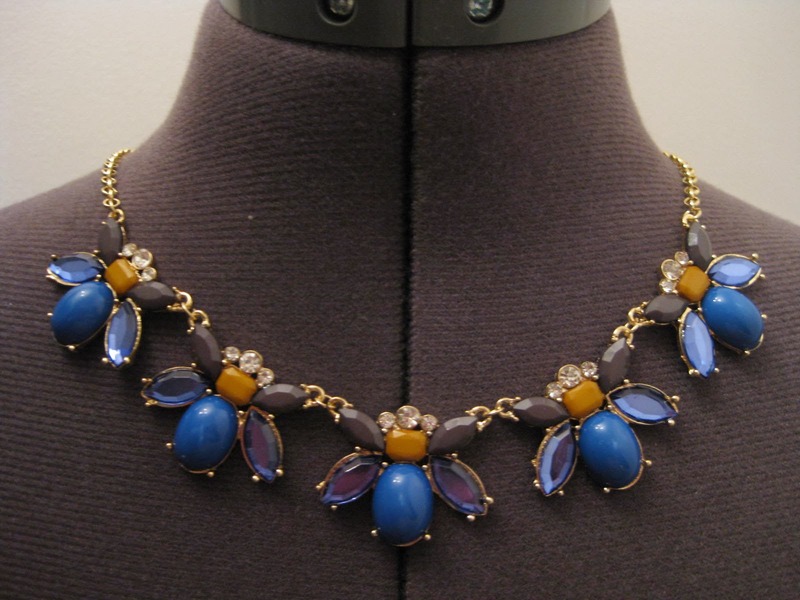 I loved this necklace. The colors, the length, the fact that it was a statement necklace in a bee pattern. Everything was perfect, except the price! It did not seem like it should cost $36 and if it was cheaper I definitely would have kept it. Or if I didn't like anything else in the fix, I would have kept it, so I didn't lose out on my $20 styling fee. I think it would have fit nicely into my wardrobe and I may regret not keeping this piece. 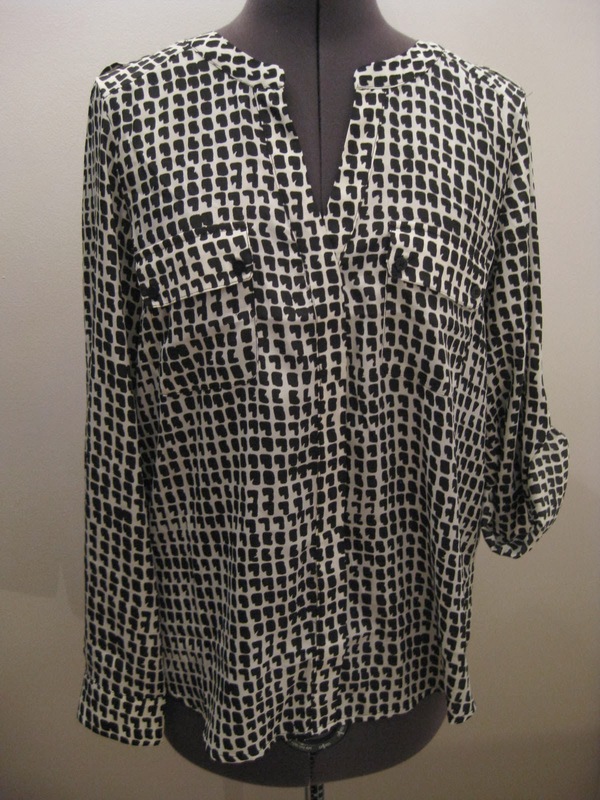 I loved this blouse. I wish it would have been a different color/pattern other than black and white, but the fit was perfect! And I loved the versatility of the sleeves. They can be worn rolled up or down as a full length sleeve. This will be a shirt I can wear any season and I thought it was a bit pricey, but worth it! It also looks great with pants or skirts!!! I wanted to love this skirt. The color was great and the style was perfect, but it was too big on me. The length was also a bit awkward because it hit right at my knees. I felt a bit dowdy in it and it just wasn't for me. I was happy I didn't fall in love with it when I saw the price too! These were all wrong for me. 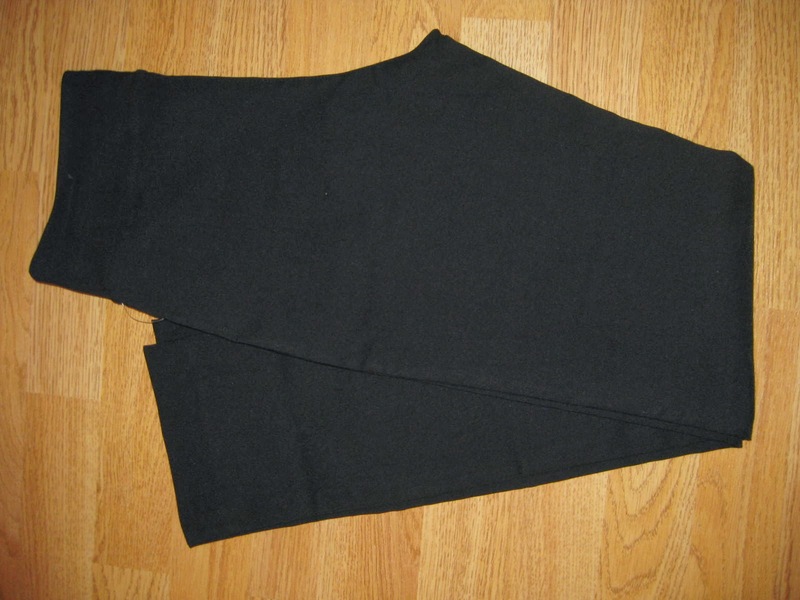 They're a trouser material in black. They were a bit tight and I could barely get them over my hips to try them on. And cropped pants for our cold winters just don't work (even with boots). I would freeze. Plus when I did have these on they looked like tight leggings, and felt all wrong. I could not be comfortable wearing these. And again when I saw the price I was happy I didn't love them! 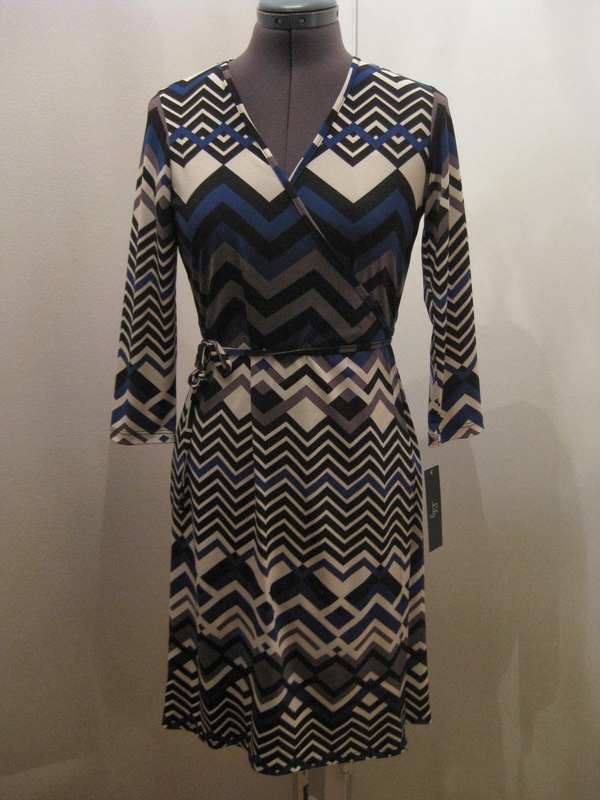 This dress fit okay and I did like the color/pattern, but it did not feel worth $108. I prefer long sleeves instead of 3/4 for winter dresses and this felt like a very lightweight material. I also received a black wrap dress in my first fix that I loved and it felt like a much higher quality dress for around the same price. 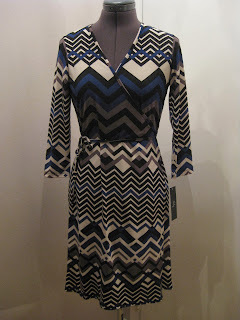 The pattern on the seams did not line up on this dress and it really bothered me. This just wasn't for me! This fix was at a higher price point than I would have liked. If I bought the entire fix it would have cost about $300 after the 25% discount you get for keeping all 5 items. I would have loved this fix if everything fit properly, because I think this is the first fix I received where I could have mixed and matched pieces. There was a color scheme and it looked like they really took my past feedback and Pinterest page into account. I'm skipping a few months (to try to save money) and scheduled my next fix for the beginning of February. 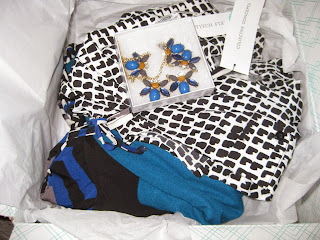 What do you love about Stitch Fix? *If you use my links in this post I'll get a small referral credit. Thank you!